Hal Abroms, above, and his late wife, Judy, displayed a devotion to philanthropy throughout their more than six decades of married life in Birmingham. Photo courtesy CJFS. 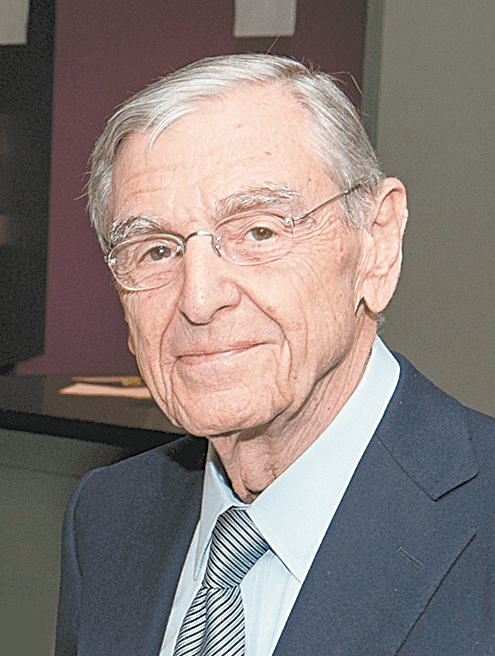 Longtime Mountain Brook resident and philanthropist Hal Abroms will be honored by the Collat Jewish Family Services at its annual “Hands Up Together” event April 28. The event, being chaired by Ronne and Donald Hess, will take place at the Alabama School of Fine Arts Dorothy Jemison Day Theatre. Festivities will celebrate the decades of partnership between Abroms and CJFS, a United Way of Central Alabama agency that provides care and support for older adults of every faith and financial ability. Hal and his late wife, Judy, displayed a devotion to philanthropy throughout their more than six decades of married life in Birmingham. In addition, the Abromses supported educational initiatives at Indian Springs School, the University of Alabama at Birmingham and the N.E. Miles Jewish Day School; and helped found the Abroms Engel Institute for Visual Arts at UAB, where budding contemporary artists can interact with the community. At CJFS, the couple served as donors, advisers, advocates and fundraisers. “When Esther Schuster was the executive director of CJFS, she told me that when a child has to come in and clean a parent’s apartment and bathe the parent, it’s a humiliating thing for both the parent and the child. That made sense to us, and we could see how worthwhile it was to expand the CJFS Personal Care program,” Hal said, in a statement. The couple directly benefited from the CJFS services when Judy’s early onset Alzheimer’s symptoms began to cause her to withdraw in 2014. Hal sought advice from CJFS Executive Director Lauren Schwartz to help his wife stay active and engaged in life for as long as possible. Schwartz told him about a new program that the organization was about to launch at the time, CJFS Cares, and Judy became one of its first participants. On Judy’s days at Cares, Hal had a few hours to himself while she joined in a full schedule of art, music, exercise and games. “She was the best balloon volleyball player – everybody wanted to be on her team, and she loved to sing,” Hal recalled with a smile. Judy passed away in October 2018, after attending Cares until almost the end. The 4 p.m. “Hands Up Together” event honoring the Hal will include entertainment celebrating his favorite musical era, featuring the Las Vegas Rat Pack Revue, followed by a wine and cheese reception. For more information, visit cjfsbham.org or call 879-3438.